Coupon for $20 at The Red Hot plus a priceless unique chalk off trophy. A trophy awaits the winner of this week's challenge. 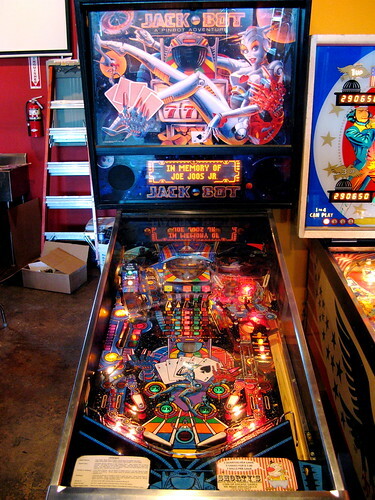 When did you last play pinball? 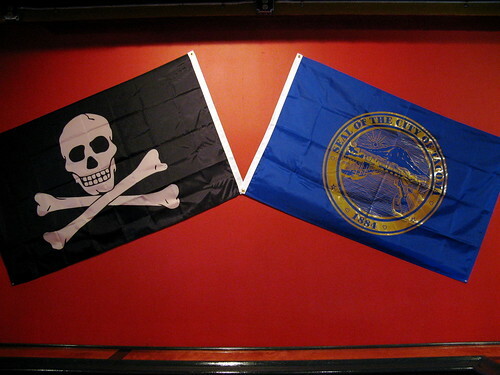 Here, a symbol of death and City of Tacoma flag are combined. Darkened boosterism. by jamesstoweart on 5/7/2008 @ 1:39pm I NNNNNEEEEEDDDDD that trophy. I am such a closet Red Hot fiend. by Erik on 5/7/2008 @ 1:42pm I believe they have healthy type dogs on the menu Stowe. by NineInchNachos on 5/7/2008 @ 1:53pm what is in the bottle? Personal note from Chris on the winning envelope. by izenmania on 5/7/2008 @ 2:31pm what is in the bottle? I don't know if he plans to fill it as a prize, but it can be cheaply filled with beer to go at most taverns. by Elle on 5/7/2008 @ 3:09pm It shall be mine. by beerandhotdogs on 5/7/2008 @ 5:10pm Narc. by Erik on 5/7/2008 @ 5:44pm It shall be mine. Did you go to Puget Sound Pizza yet Elle? by Elle on 5/7/2008 @ 8:23pm Did you go to Puget Sound Pizza yet Elle? Not yet. Winning gift certificates to the hot places in Tacoma makes up for the year I lived in the Harmon and the only hot spot was... well the hall outside my apartment. I'm hoarding the cool for those few precious moments of parental freedom. I am sooo not wasting a free pizza on my 3 year old. by Erik on 5/7/2008 @ 9:22pm Not yet. Winning gift certificates to the hot places in Tacoma makes up for the year I lived in the Harmon and the only hot spot was... well the hall outside my apartment. Maybe you are just going to collect them for your scrapbook. Funny. 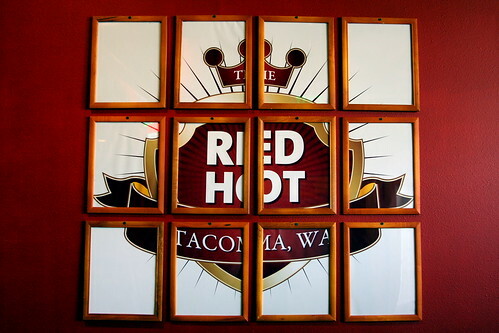 PSP is currently serving as a sort of pioneering outpost for downtown Tacoma. They basically do it all from kiddie and family meals, breakfast lunch and dinner to shots of liquor.